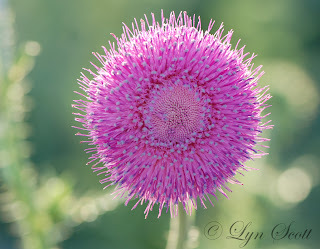 It is spring in the Texas Hill Country as evidenced by this Pink Thistle. If you have not visited Texas in April you are missing some of the most colorful scenery in the southern states. This area has the most beautiful wildflowers, including Bluebonnets, Indian paintbrush, Firewheel, Indian blanket, winecup, Prickly poppy, Mexican hat and Primrose to name a few. There really is a multitude of colors in every field.